Over the past year, there have been conflicting reports on the validity of flossing. We want to set the record straight and let all of our patients know that flossing is in fact a very important part of your overall oral hygiene regimen. As a practicing dentist for 40 years, I have seen the benefits of flossing. It is instrumental in preventing tooth decay. Flossing is extremely effective and we continue to recommend it to promote oral health. Yes! Should you do a lot more than floss for proper oral health- absolutely! Dental decay is caused by germs eating sugar and producing acid, which demineralizes tooth enamel and results in caries (decay). Every dentist knows that flossing as part of a prevention program helps remove the bacterial plaque and therefore will help reduce decay. How has flossing traditionally been viewed in terms of dental health? Flossing has always been viewed as an important part of dental hygiene. It is used to disrupt and loosen the bacterial plaque in areas that cannot be reached by tooth brush bristles. It is PART of a complete oral hygiene regimen. How does flossing aid people in achieving proper dental health? What ailments can flossing help prevent? To understand the role of flossing, you have to understand the bacterial nature of dental disease. In dental caries (decay), the disease is caused by strep mutans which resides in a sticky bacterial plaque on the teeth. These bacteria do not eat the teeth, they eat sugar and excrete acid. It is the acid which “eats” (decalcifies) the teeth. A prevention program such as the one we employ at Advanced Dentistry of Westchester attacks the problem by treating decay as the chronic, incurable, contagious (to babies) disease it is. Like any other disease, the first line of defense is cleanliness. Reduce the bacterial population, such as hand-washing to reduce the chance of getting the flu. In dentistry, it is brush, AND floss, and rinse. 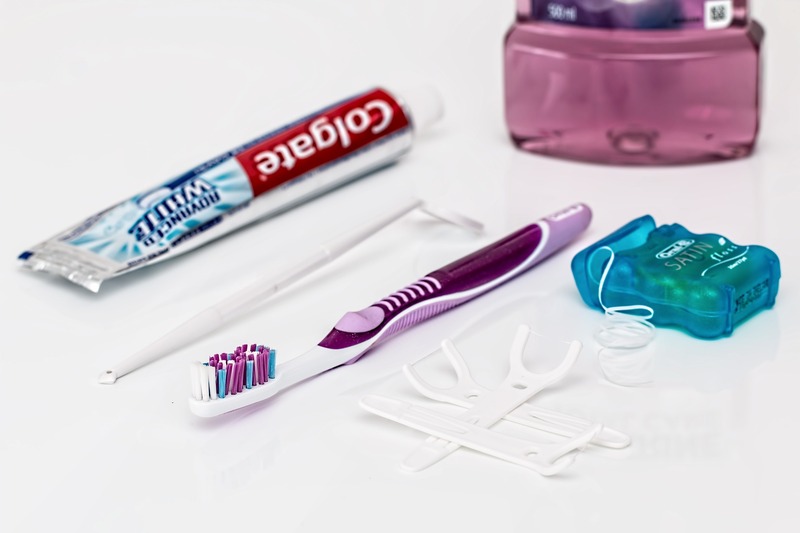 How can people properly floss and what other ways can people help prevent oral decay? Flossing means not simply getting the food out from between the teeth, but wrapping the teeth and polishing both adjacent surfaces while working the floss out towards the biting surface. What are the top 7 things you can do to prevent decay? Understand the bacterial cause of dental disease, which is essential to complying with any prevention program. Remove as much bacteria as possible…Brush and FLOSS! Reduce the FREQUENCY of refined sugar, which is what the bacteria feed on to produce the acid that results in decay. Fluoride in the drinking water of children. This has been shown to dramatically reduce decay. Prescription level fluoride applied topically by brushing and not eating, drinking, or rinsing afterward every night. Seeing a dentist regularly. That means every 3-6 months as determined by the dentist based upon dental history. A dentist that uses an effective prevention program (like ours) is very important. If a patient has a high decay rate, using compounds like L-arginine can be very effective in preventing decay. Do you have any other recommendations in regard to flossing or proper dental health? Once you’ve removed as much bacteria as possible, the next step is to stop feeding the germs. When you eat sugary foods the bacteria produce acid for 20 minutes. The more frequently you eat sugary foods, the more this happens. It’s not the quantity of sugar it is the frequency. And NEVER eat sticky sugary foods like raisins or dried fruits or candy. You might as well glue the sugar to your teeth. For patients that have a high decay rate, the next step is to make the teeth resistant to acid. That means a prescription level fluoride applied topically. You need the strength of prescription level fluoride to work. At night before bed, brush, floss, and rinse to reduce the bacterial population. Then brush with a prescription fluoride gel or paste. Use your saliva with the fluoride to swish and thoroughly push between the teeth and then spit out. No eating, drinking or rinsing after that. We combine this with fluoride varnish applied to the teeth every three months. If patients still get some decay after these steps there are other things we can add to arrest the decay. You have to remember that if you get cavities that it is a chronic, incurable, contagious, disease. We can arrest it but we can’t cure it. 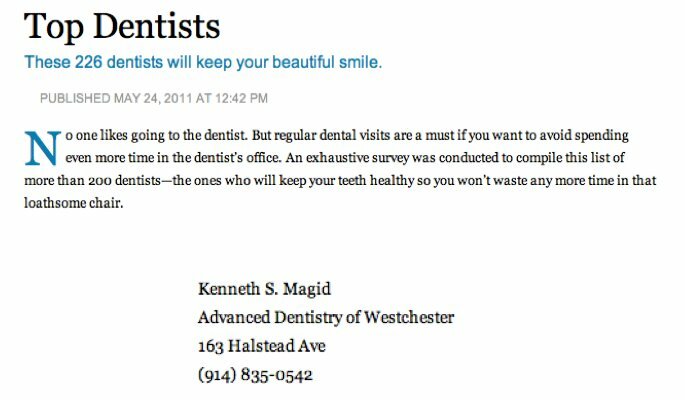 Dr. Magid has practiced dentistry for over 40 years. He is currently the Director of Pre-Doctoral Laser Dentistry and Associate Clinical Professor at NYU College of Dentistry and is the Assistant Director of Honors Esthetics. He has appeared on nationwide television and radio programs to discuss high tech and cosmetic dentistry including ABC and The New York Times. Dr. Magid lectures throughout the U.S. and Canada and is a contributor to many journals on topics including “Minimally Invasive” Dentistry, Laser Dentistry, Digital Radiography, Air-Abrasion dentistry, “21st Century Dentistry” and Cosmetic Dentistry. Dr. Magid received his dental degree from New York University College of Dentistry.